On 9th May 1915 the British attacked north at Arras as part of the British contribution to the Second Battle of Artois, a Franco-British offensive. Their objective was the capture of Aubers Ridge but it turned into an unmitigated disaster. 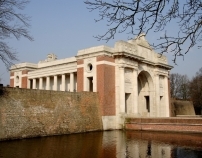 The German defences had been much improved since the Battle of Neuve Chapelle in March and the British artillery was in a parlous condition and failed to destroy the German defences during the short and insufficient 40 minute bombardment that preceded the attack. 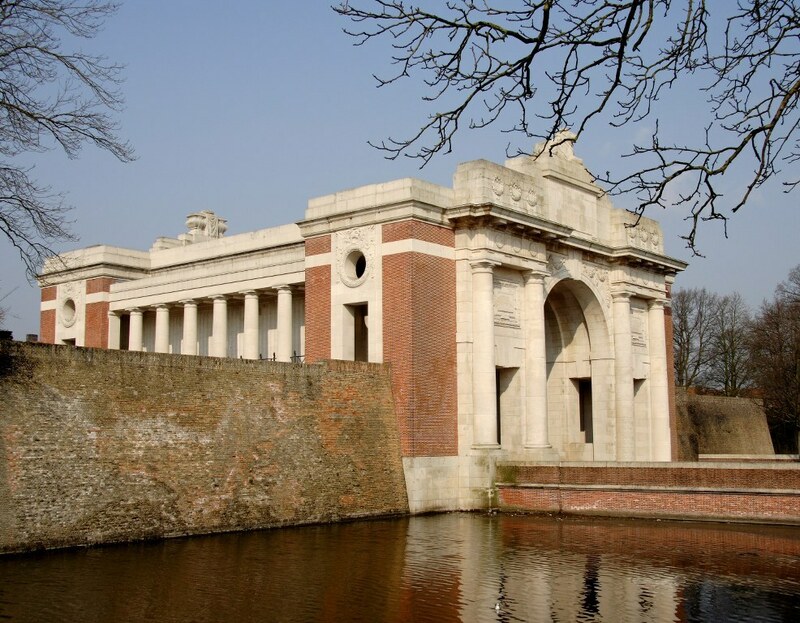 Extra artillery had been requested but further to the north, the Second Battle of Ypres was being fought on a ferocious scale and none was forthcoming. The few initial gains could not be held and by the evening of 9 May, all the British forces were back where they started, except of course the dead who littered the battlefield. There were 11,000 casualties for the British Army. On 9th May, 8th Division attacked on the left of the British line and 25 Brigade attacked on the left of 8th Division with 13th London and 2nd Rifle Brigade. The wire had been well cut in front of them and they quickly crossed the 100 yards of No Man’s Land and entered the German front line. But this success was not to last. From those uncaptured sections of the German front line and from other well defended positions, fire was poured on them as they struggled to consolidate what they had gained. Many fell back to their own lines when an unknown voice shouted, ‘Retire at the double’ and in so doing added to the confusion of the British trenches, where reinforcements were moving up. Eventually there were only three small lodgements of British troops in the German line. Another attack in the afternoon never made it even as far as no-man’s land, the German fire being so fierce. That night, those few left in the German positions were forced to withdraw in the face of a strong German assault. 2nd Rifle Brigade’s casualties on this day amounted to a staggering 650 officers and men.